The Amerigo Classic Dressage is also known as the Amerigo Deep Dressage. 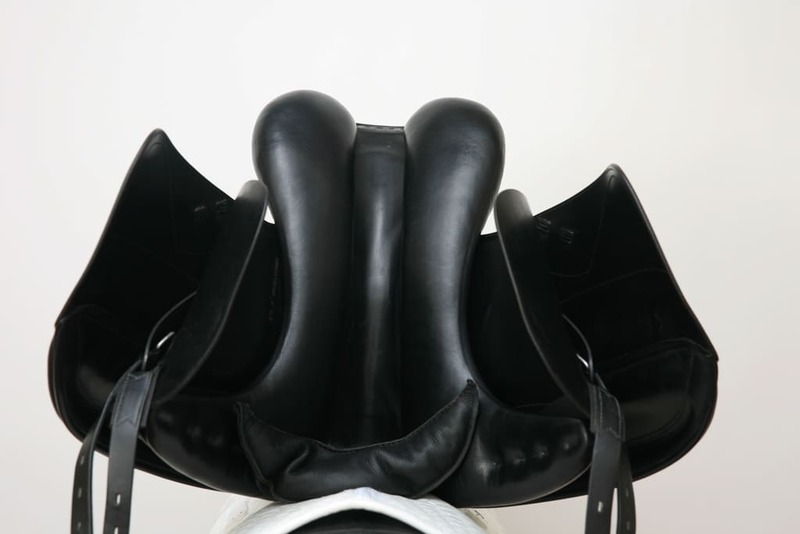 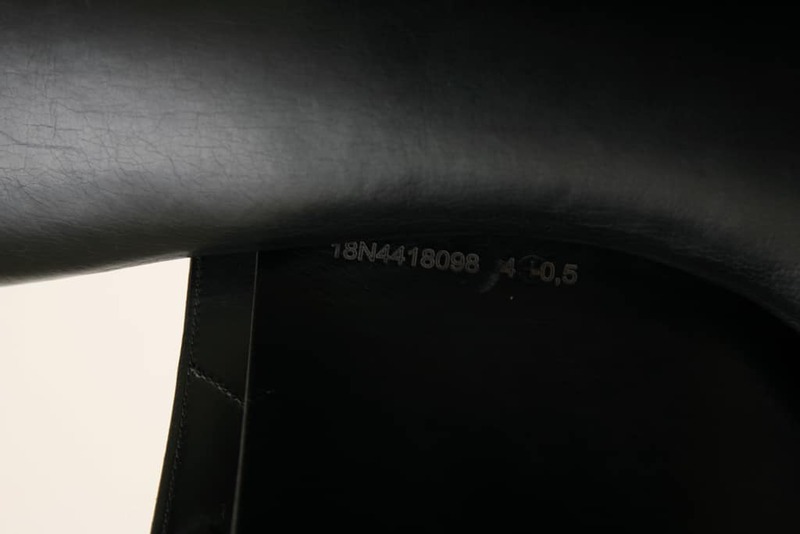 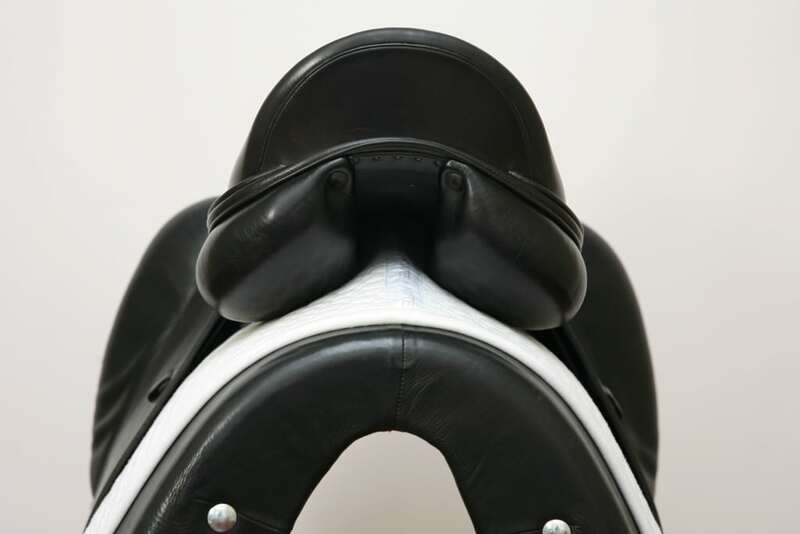 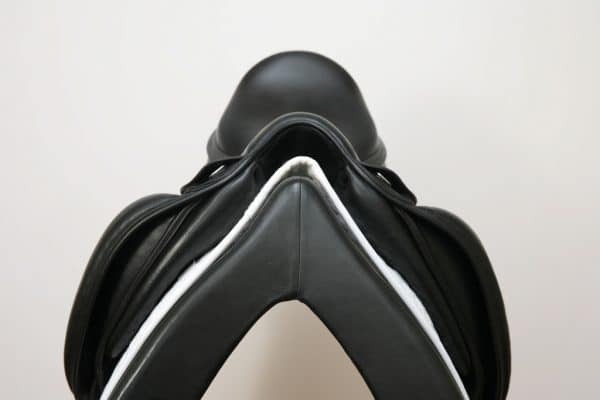 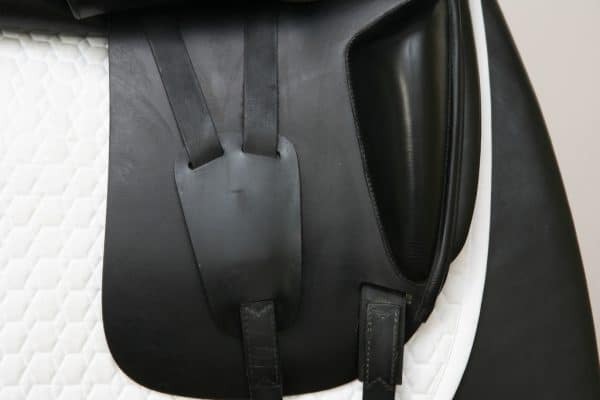 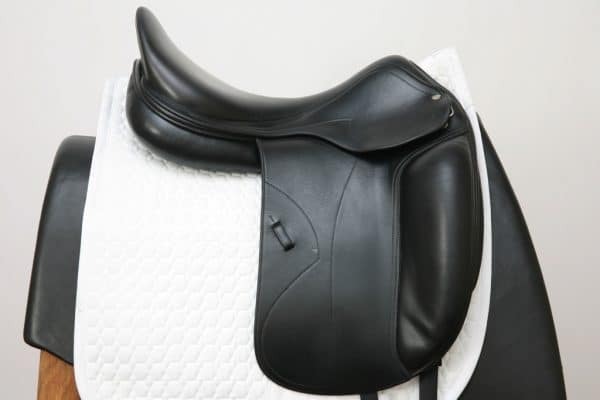 Note that this saddle is a snug Medium, measuring 1/2 cm narrower than a standard Medium. 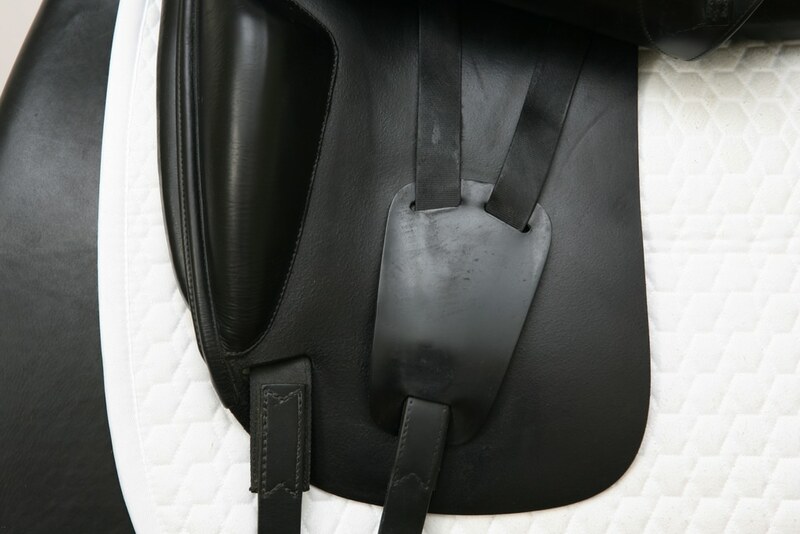 Flaws: Scuff marks on cantle; normal wear on pommel, seat, billets, panels, and flaps. 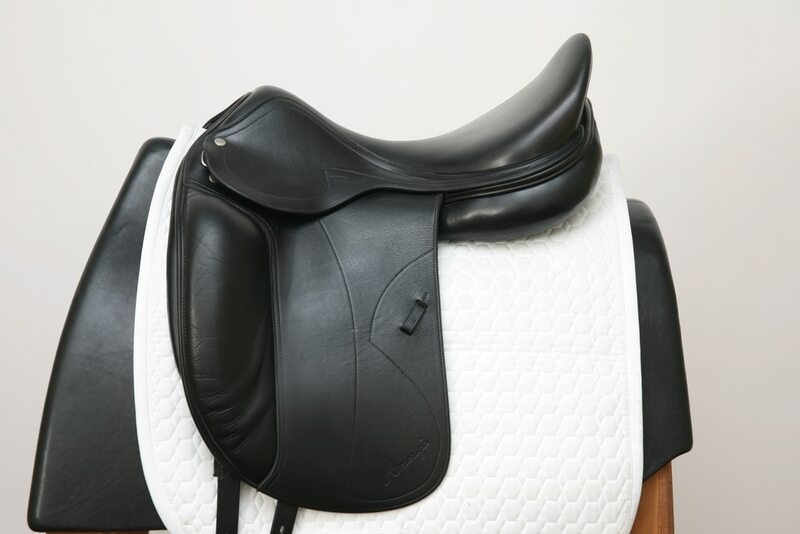 Price of a comparable, new Amerigo Classic Dressage saddle: $5,750.00.